Those harsh words were all from my father (whom I love—he is my idol), and they motivate me every day. The day I heard the above words, I vowed to become the best salesman on the planet, and I have made it my mission to study, work and learn from masters—so one day I, too, would become a master. I looked at things differently than Dad. I believe that salesmen are the most noble of professionals. They are magicians. Like magic, they make money appear. 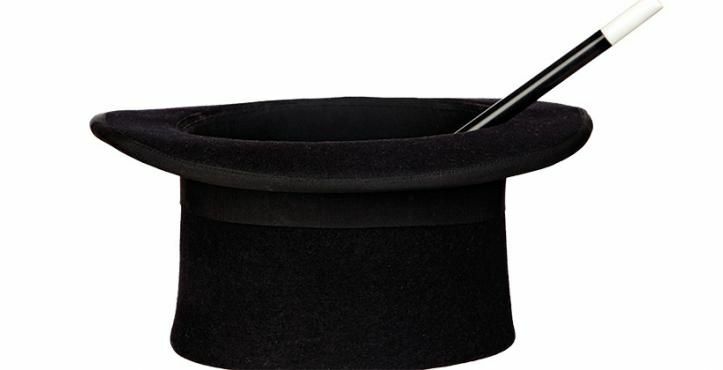 Like a magician, salesmen can take a medical facility, where no one knows who they are or has even heard of the company they are representing, and produce a revenue stream and a long-term customer. Now that’s power. That is exactly what parents want for their kids—security and self-reliance. Sales magicians are wanted and needed in every company. The tougher the climate, the more sales masters are appreciated. After years of working and learning under masters in sales, psychology, law, neurolinguistics and neuroscience, as well as successfully selling more than $1 billion in the health care industry, I created the 7-Step Sales Process, with the goal of transferring this knowledge to people around the world who share my passion to be the best. Top salespeople around the world use the 7-Step Sales Process to market game-changing products and services. You will notice these activities and language patterns take time and effort to master. You need to study in order to feel confident and comfortable with the material. Role play, and then test your new skills in the field to make sure you are seeing results; then make appropriate adjustments. This article will give you a brief overview of the fundamentals to create magic with every call you make and every customer you meet. It has been said that it takes 10,000 hours to master a worthwhile skill. Like me, you understand it takes time and consistent effort to be great. Here is a great acronym for T.I.M.E.—Things I Must Earn. The advantage of the 7-Step Sales Process is that I have compressed all the knowledge you need into seven specific actions you can master. I have witnessed hundreds of sales representatives in our training classes see immediate results in revenue within the first 30 days—and the best part of the model is that, when you make it your own, you will know exactly what to do and say in every situation to meet and exceed your goals. This is the first and hardest step of the process. You must motivate your targeted prospects to meet with you and set aside a specific date and time to have a meaningful conversation about their business and how you can potentially provide them with a better solution. Here is an effective call strategy to get more people to agree to meet with you. Rapport and commonality must be communicated in the first few seconds of the call. Your goal is to pique their interest so they will meet with you. This can be accomplished by referencing a highly prestigious customer you are doing business with. This gives you instant credibility in the eyes of the person with whom you want to meet. A reference from a common business relationship or colleague, and a proven ability to solve major problems and unmet needs for similar individuals and companies, can also accomplish this goal. How many patients do you see who suffer from sleep apnea? How important is it that you provide better compliance for both patients and referring physicians? If we could help you get better compliance rates like we have for XYZ HME Retail, is there any reason you couldn’t use a product or service such as ours? Imagine how great you will feel knowing that the prospect is interested, has a need and is willing to use your service as long as you can prove you have a solution that works better than their current option. What is important to you when selecting a product or service? How do you make the decision on what product or service to use? What is the most important thing you are working on right now to improve your company? If you use our solution that solves that problem and you believe it is a better solution, what specifically will that mean to you and the patients you serve? The interview must uncover everything about the account holistically from personal and departmental goals; greatest challenges and opportunities; and unmet needs or wants. After you have done a professional interview, you have all the information to move on to the evaluation. Just like a highly respected doctor, you need to decide what is best for the customer first and then communicate why. In the evaluation stage, you have to stand beside your customer and selflessly ask yourself if your solution makes sense, and would you decide to use the product or service if you were in their place. If you know in your heart and soul that your solution is best, then it’s your obligation to close the sale and get their business. If not, it is your professional obligation to position yourself as a backup source and look to be the one they call first when a new problem arises. Now you have made the decision based on your interview and their words, thoughts and feelings—you must convince them your solution is best for them and clearly show it makes 100 percent sense. The magical secret to success is simple: you use their words and answers to your questions to convert them into a customer. They can disagree with your presentation, but they will always believe what they say and want. Here is why this strategy is so powerful: they sell to themselves with their own words and feelings. You will love the 7-Step Sales Process, and you will use the “makes sense” close all the time because it takes the pressure off you and the customer. You are not asking for their business, you are asking for their opinion. You have created an environment so your customer can clearly think, “Is this the best decision for me?” Because you are using the customer’s words and feelings combined with a solution that is truly better, you will hear, “Yes, that makes sense,” from everyone as long as you have done every step correctly. Think about hearing “yes” more often because you took the time to learn the 7-Step Sales Process. You say the following immediately after you use the “make sense” close, and the customer says they are going to use your service. If the customer says, “yes,” take the order, go home and celebrate! What if the customer says, “We don’t have any patients today.”? You reply, “Of course, I understand. It’s really important to me that we get everything set up properly and we start providing you and your patients with exceptional care when you need us. Based on your profile, you see about 20 patients requiring CPAP services each month, so it makes sense that I’ll call you on the 15th of next month to get things going. Would it be better to call around 10 a.m. or 2 p.m.? If the customer goes along and gives you a date and time, you know you will most likely take an order on that date. If they do not give you a date or act evasive, you now know they are lying. As a professional communicator you need to uncover the objection and use your language skills to recover the sale. The power of this process is that you know exactly what to do and say in every situation—that’s why it’s magic. I have attempted in this article to give you a very brief introduction into sales mastery and creating magic with the 7-Step Sales Process. There is so much more that we will cover in future articles—from preferred communication styles, advanced rapport techniques and message engineering to other highly complex topics you need to know so you will have the power to experience outstanding results with this life-changing process. My hope is you will continue to read HomeCare magazine, attend my Medtrade workshop or online training and study and practice the 7-Step Sales Process so you, too, can create magic. That would make our parents, children and loved ones proud. Thank you, Dad!